Three weeks between runs, down in grade and a perfect barrier draw looks a great recipe for A Knight Of Pro at Ascot on Saturday. The Proart gelding jumps from gate four in the Vale Phyllis Morris Handicap over 1200m. 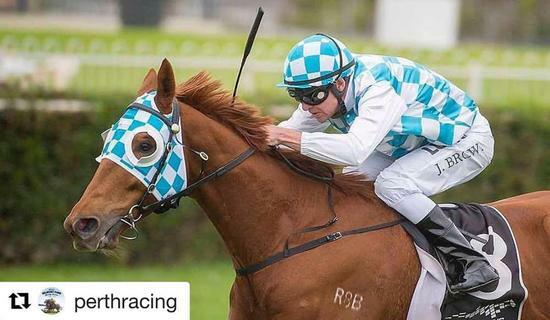 Shaun McGruddy jumps aboard for the four-year-old’s second run this preparation after being good behind the promising Illustrious Tycoon on Perth Cup Day. He was slow away on that occasion and made ground late to finish seventh. Co-trainer Todd Harvey is confident of a positive showing second-up. “If he jumps with them I am confident he can be in the finish,” he said. A Knight Of Pro has missed the top three just once from four runs at Ascot and is also a winner over the distance. Prior to his first up performance, he was victorious over More Aces at 1200m. He jumps in race 6 at Ascot on Saturday, scheduled for 4pm.